NEWS – I’ve been keeping an eye out for the next product from the makers of the Wyze Cam with hopes that it would be an outdoor version of their popular affordable security cameras. Well, today is the day that Wyze announced a new product, but it’s not what I thought it would be. Their latest product is Sense. It’s a sensor system consisting of contact sensors, PIR motion sensors and a bridge that links everything together. 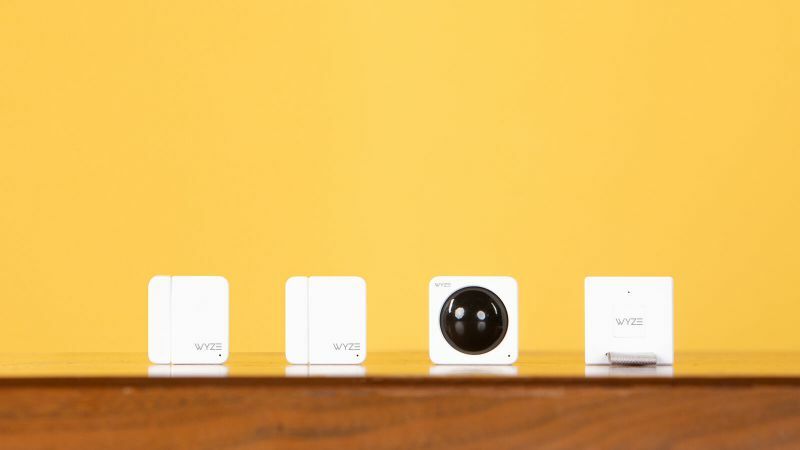 The starter kit includes a bridge that plugs into the back of an existing Wyze Cam or Wyze Cam Pan, two contact sensors, and one motion sensor. The contact sensors are used to send an alert to you when a door, cabinet, window, or another thing and closes. The motion sensor is used to detect motion and can then trigger a camera on the system to record video so you can see who came in the house or into a room. The Wyze Sense starter kit is priced at a very affordable $20 and will start shipping in May. If you’re already a Wyze Cam user, you can pre-order directly thru the app. You better hurry though, it’s only while supplies last. I just ordered two kits.